Discover business studies with creative and innovative approaches – discover a world of rewarding learning! The joint Creativity and Business Innovation studies aims at providing students with the outstanding opportunity to discover how ideas are generated and developed, how creativity operates and an understanding of innovation and creativity theories within a business context as well as enabling students to enhance their employment prospects in the workplace by providing them with lots of theoretical and practical knowledge. The studies has been designed to give you the skills to turn ideas into action! study field modules: Business Analysis, Organization and Management, Innovative Individual and Organization, Sustainable Development, Personal Insight and Development, Economics and Business Documentation, Sales and Market, Communication, Entrepreneurial Behavior and Characteristics, Creativity, Business Models and Evolutionary Strategic Development, Knowledge Acquisition. 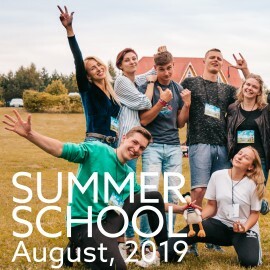 The professional and final practices in international companies located in Estonia and Lithuania comprise 40 ECTS credits – the best way to start to understand your chosen career from a real world perspective! Be one of the best ranked students and receive an Erasmus + scholarship for your studies and internship abroad! 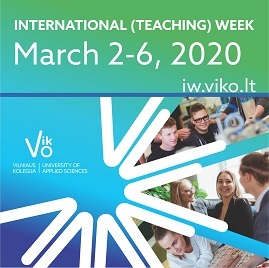 INTERNATIONALIZATION – the joint study pogramme Creativity and Business Innovations is a solid result of cross-border cooperation among Vilniaus kolegija/University of Applied Sciences, the Polytechnic Institute of Porto and Estonian Entrepreneurship University of Applied Sciences. Students admitted to Vilniaus kolegija/University of Applied Sciences will carry out 40 percent of their studies at the Polytechnic Institute of Porto and Estonian Entrepreneurship University of Applied Sciences. CREATIVITY – A particular emphasis is laid on the development of creativity. Until recently, the joint study programme Creativity and Business Innovations has been the only study programme in Europe, the cornerstone of which is considered a didactic approach Creative Platform, which was developed in Denmark and successfully implemented all over the world. The application of this platform will lead students and graduates to creative option-generating procedures and their implementation in business companies and public organizations. ENTREPRENEURSHIP – Professional Bachelor of this joint programme is supposed to be an international, creative and entrepreneurial-minded person. Graduates will be able to employ their creativity and international characteristics to create new products and entirely transform current business, products and services. Graduates of Creativity and Business Innovations will be able to apply the Creative Platform methodology internationally to create and expand new businesses, organize team work for new products and services creation on the basis of experience of various sectors, areas and skills, and build entrepreneurial awareness to contributing to a chosen employer quickly and effectively. A set of ‘transferable skills’ you will receive can be used in a variety of careers. The joint first level professional higher education degree is certified by three higher education diplomas: Professional Bachelor in Business (Vilniaus kolegija/University of Applied Sciences), Licenciado (Polytechnic Institute of Porto), Higher Education in Applied Sciences diploma (Estonian Entrepreneurship University of Applied Sciences). Take a chance to receive three diplomas in three years! Graduates will be able to continue their studies under university programmes at Lithuanian and foreign higher education institutions. 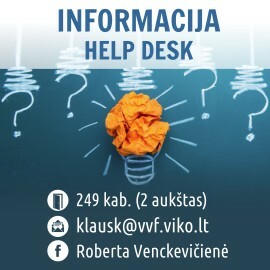 The joint study programme has been developed according to the project “The Preparation and the Development of Joint Study Programme “Creativity and Business Innovations” in Order to Increase Internationalization of Study System of Vilniaus Kolegija / University of Applied Sciences” No. VP1-2.2-ŠMM-07-K-02-078 cofinanced by European social fund and the Republic of Lithuania according from state budget funds according to Operational Programme for the Development of Human Resources for 2007–2013.